UNITED NATIONS, Jul 24 2018 (IPS) - The Group of 77 (G77) — the largest single coalition of developing countries at the United Nations– is to be chaired by Palestine, come January. “It’s a historical first, both for Palestine and the G77,” an Asian diplomat told IPS, pointing out that Palestine will be politically empowered to collectively represent 134 UN member states, including China. Traditionally, the G77 speaks with a single voice before the 193-member General Assembly, the highest policy making body at the UN, and also at all UN committee meetings and at international conferences. Under a system of geographical rotation, it was Asia’s turn to name a chairman for 2019. The Asian Group has unanimously endorsed Palestine, which will be formally elected chair at the annual G77 ministerial meeting, scheduled to take place in mid-September. 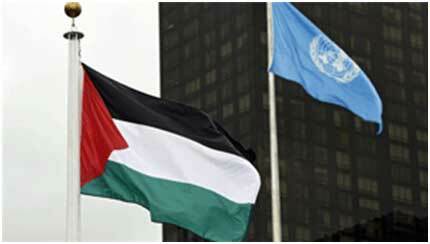 Palestine will take over from the current chair, Egypt, which is representing the African Group of countries. The chairmanship is a tremendous political boost for Palestine at a time when it is being increasingly blacklisted by the Trump administration which is kowtowing to the Israelis. Although it is not a full-fledged UN member state, Palestine is recognized by 136 UN members, and since 2012, has the status of a “non-member observer state” –as is the Holy See (the Vatican). However, comforting as this may be, she pointed out, it will take a lot more than this to make “Palestine” a reality on the ground. Sadly, the Ramallah-based Palestinian leadership has been unwilling or unable to end security coordination with Israel and to heal internal divisions. Instead, she said, it is cracking down on peaceful Palestinian protests. ”It is also reshaping the Palestine Liberation Organization, which has always been recognized as the sole legitimate representative of the Palestinian people, in a way that excludes alternative and opposing views,” Hijab declared. The election will also prove that the State of Palestine itself has decided it can mobilise its human and material resources to take on the complex task of coordinating the largest grouping in the UN system– even though it has to fight its own very challenging battles of survival and independence, said Khor, the former executive director of the Geneva-based South Centre. “Both Palestine and the G77 deserve the support of people around the world to wish them success in voicing and defending the interests of developing countries in these very difficult times when international cooperation and multilateralism are coming under attack,” he said. Last week, the Trump administration refused to grant visas to a six-member Palestinian delegation that was expected to participate at the UN’s High-Level Political Forum (HLPF) on Sustainable Development which took place July 16-18. This was clearly in violation of the 1947 US-UN Headquarters Agreement which calls on the US, among other obligations, to facilitate delegates participating at UN meetings. ”As of now, the Host Country Committee has not been approached or formally informed of this, so they haven’t acted on this. But it’s normally their role to deal with this situation. Of course, we would hope that all of those who are here to attend UN meetings would have the ability to do so,” he added. Samir Sanbar, a former UN Assistant Secretary-General who headed the Department of Public Information (DPI), told IPS chairing the G-77 will be an unprecedented role for Palestine. He said leading that large, varied yet collaborative group will require tactful handling by all sides at a time when the rightful Palestinian cause needs every support as the region—and a fragmented conflicted, almost leaderless world— is facing serious challenges. “It is hoped that Ambassador Riyad Mansour, Permanent Observer of the State of Palestine and an experienced diplomat with proven U.N. record, will be given the opportunity and required leeway to operate in an inclusive, patient and fruitful manner to enhance the role of the G 77 while advancing the status of the Palestine, said Sanbar, who served under five different UN secretaries-general. At the UN, the Trump administration has been increasingly undermining the Palestinian cause – a cause long supported by an overwhelming majority of member states in the world body. In May, the US relocated its embassy from Tel Aviv to Jerusalem even though the UN has deemed it “occupied” declaring that the status of East Jerusalem should be subject to negotiations and that East Jerusalem will be the future capital of the State of Palestine. Last month, the Trump administration also reduced its funding—from an estimated $360 million in 2017 to $60 million this year — to the UN Relief and Works Agency (UNRWA), created in 1949 to provide assistance to over 5.5 million refugees resulting from the creation of Israel in 1948. Last year when Secretary-General Antonio Guterres proposed the appointment of former Palestinian Authority Prime Minister Salam Fayyad as UN’s Special Representative in Libya, the proposal was shot down by US Ambassador Nikki Haley, purely because he was a Palestinian. And speaking before the US House Appropriations State and Foreign Operations Subcommittee, Haley went even further down the road when she indicated she would block any appointment of a Palestinian official to a senior role at the UN because Washington “does not recognize Palestine” as an independent state. Suddenly, the Palestinians, for the first time, seem blacklisted– and declared political outcasts– in a world body where some of them held key posts in a bygone era. A former chair of the G77 chapter in Vienna told IPS although the Palestinian issue is fundamentally a political one, centred as well on the legitimacy and legality of Israeli occupation, it no longer remains in the political-legal realms exclusively. He said there are a large number of issues of economic, social and cultural and environmental nature, including health, education, food, water, etc, which arises both directly from conditions of occupation, as well as laterally from other conditions such as denial of humanitarian access, and, very recently, the declaration of “Israel as a Jewish state”. It is logical that advancing a struggle on these issues call for a broad forum of solidarity, and the G 77 fits the bill, he noted. In an oped piece marking the 50th anniversary of the G77, Mourad Ahmia, the G77 Executive Secretary said: “When it was established on Jun. 15, 1964, the signing nations of the well-known “Joint Declaration of Seventy-Seven Countries” formed the largest intergovernmental organisation of developing countries in the United Nations to articulate and promote their collective interests and common development agenda. Since the First Ministerial meeting of the G-77 held in Algeria in October 1967, and the adoption of the “Charter of Algiers”, the Group of 77 laid down the institutional mechanisms and structures that have contributed to shaping the international development agenda and changing the landscape of the global South for the past five decades, he pointed out. The Group has a presence worldwide at U.N. centres in New York, Geneva, Nairobi, Paris, Rome, Vienna, and Washington D.C., and is actively involved in ongoing negotiations on a wide range of global issues including climate change, poverty eradication, migration, trade, and the law of the sea. “Today, the G-77 remains the only viable and operational mechanism in multilateral economic diplomacy within the U.N system. The growing membership is proof of its enduring strength,” he declared.